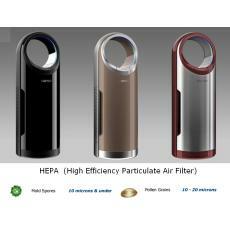 HEPA filter can filter 0.3 micron dust up to 99.97% efficiency. For small particles, HEPA can even achieve high effective results, sometimes up to removing 0.01 micron. What to do, if your driver is smoking on a long journel? Small and instant defense, big effect!